(Seychelles News Agency) - In an effort to address illegal, unreported and unregulated fishing as well as other illegal maritime activities, two newly designated areas around Seychelles’ Aldabra group and Amirantes to Fortune Bank are being expanded. In total, these areas are 26 percent of the island nation’s Exclusive Economic Zone or approximately 350,000 square kilometres. The expansion of these designated zones as protection areas is part of a seven-year public process called the Seychelles Marine Spatial Plan (MSP) Initiative. “The domestic fisheries, conservation, maritime security, petroleum, industrial purse seine and other sectors in Seychelles are in support of both proposals for expansion and have noted that they see their comments incorporated into the zoning design,” explained Sims. The island nation’s move to designate more waters as protection areas comes after the signing of a debt-for-climate-change-adaptation swap in 2016 that converted some of Seychelles' foreign debt to target conservation and climate change adaptation in the country. This resulted in the setup of the Seychelles Conservation and Climate Adaptation Trust, an independent, private trust. The debt swap is an award-winning and innovative financing mechanism to assist Seychelles – a group of islands in the western Indian Ocean - to address conservation and climate change adaptation. The Nature Conservancy provided funding, technical design and leadership. 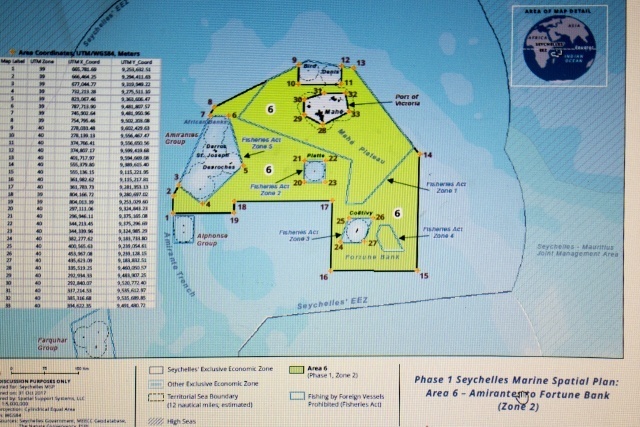 Joanna Smith, the Seychelles MSP Process and Science lead at TNC Canada, explained that the first proposal is to expand and re-designate ‘Aldabra Group Marine National, Park’ from 612 square kilometres to 177, 479 square kilometres -- from 5.3 to 13 percent. 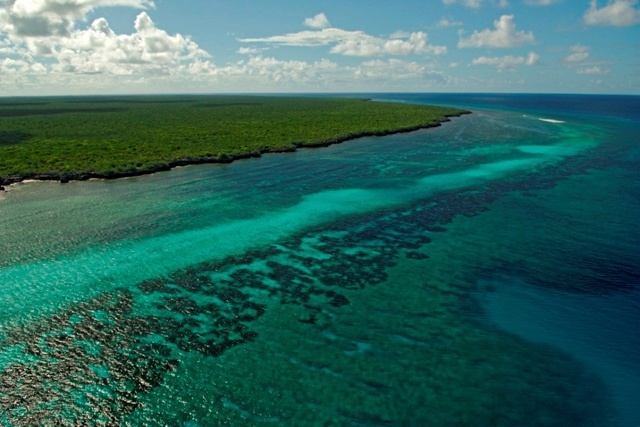 ”Expanding high biodiversity protection status is to address threats and improve long-term protection for waters surrounding the globally-recognised Aldabra Archipelago and UNESCO World Heritage site,” said Smith. The second proposal is to expand and re-designate ‘Amirantes to Fortune Bank Area of Outstanding Natural Beauty’ from 136,753 square kilometres to 173,468 square kilometres -- from 10.1 to 13 percent. “The purposes of this zone are to expand medium level protection for marine biodiversity, to improve sustainable management of the fisheries, and to support sustainable tourism,” said Smith. The project manager said that the areas are rich in terms of marine life and biodiversity. “Aldabra Atoll contains an internationally recognised habitat called a “raised lagoon” and it is the second largest in the world. Expanding protection around this unique lagoon is important for species like sharks and pelagic fishes that are important for healthy ecosystem function,” explained Sims. The second area that was recommended by stakeholders to extend the boundary of “Amirantes to Fortune Bank” southward to improve monitoring and enforcement and include more of the waters used by domestic fisheries and tourism. This now captures “Le Vasseur” seamount. It is being proposed for medium biodiversity protection and sustainable uses because some human activity is compatible in this area and there is good replication or redundancy to ensure long-term health if there are some impacts to some species or habitats. “To assist with implementation, a new MSP Policy has been drafted and will be finalized in 2019. The concept of an independent authority to coordinate and oversee implementation is being explored as per agreement by the Cabinet of Ministers in July 2018 and the framework is due December 2018 for approval,” said Sims.